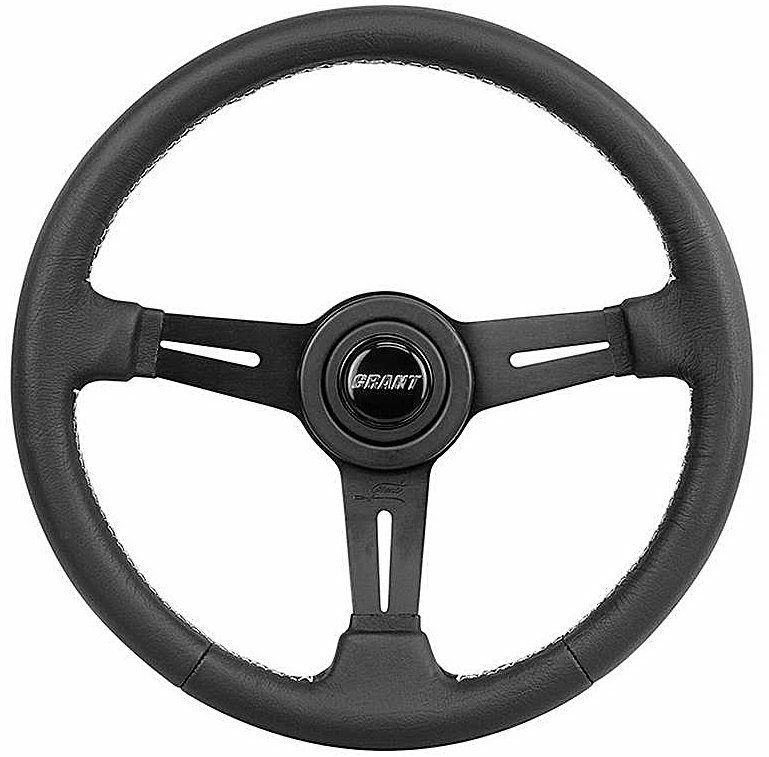 The Grant Collectors Edition Steering Wheel features premium leather grip material with detailed stitching to give your wheel that premium look and feel. The 3 spoke design is made of anodized black aluminum and comes with the Grant logo horn button and trim ring. Installation kit is required and sold separately.